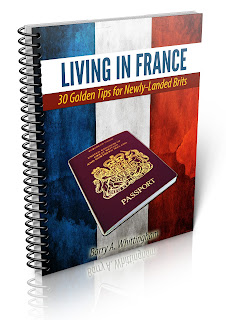 It’s estimated that roughly 500,000 Brits, 160,000 Americans as well as many nationals from other Anglophone countries such as Australia, New Zealand or Canada, have made the radical decision to leave family, friends and an established way of life to re-locate to France. In addition, a good number of Brits, while still residing, working or enjoying their retirement at home, find neighbouring France enough of an attraction for them to invest in a holiday home there. What, then, prompts people to quit their home country for one where the culture, customs and mentality are different enough to challenge their open-mindedness and powers of adaptation to an extent they’ve probably never known before, and whose language they barely speak or, in some cases, don’t speak at all? I think that one of most commonly-shared reasons for wanting to operate such a deep and far-reaching change is the excitement and adventure involved in making a fresh start to life (it’s certainly not by chance that the 40+ age group is the most concerned) in a country perceived as enjoying a better quality of life - far removed from the traffic jams, the pollution, the crime, the horrendous property prices, the work grind, and stress of urban life at home. And it must be admitted that many of the things France has to offer have the stuff of dreams: delicious food, world class restaurants, good-quality wine, geographical and climatic diversity, stunning scenery, a closer contact with nature, a wide range of outdoor activities, relatively low country property prices - not forgetting a public health and unemployment benefit system generally acknowledged to be one of the best in the world. In addition, France is perceived as having a more relaxed, country style of life with closer-knit, rural communities placing greater emphasis on human rather than materialistic values, and where local identities and customs are still very much intact. It’s certainly true that, unlike England, the process of industrialization in France was far more of a gradual evolution than an all-sweeping revolution. Consequently, even though you have large cities like Bordeaux, Lille, Marseille, and Lyon where life is not much different from that of Birmingham or Leeds, the bulk of the population is still concentrated in a multitude of small towns and surrounding villages. So, for many, nature is still very much on the doorstep with little of the noise, overcrowding, pollution and anonymity of city life. I personally live in a town of some 11,000 inhabitants where traffic jams are unknown, where you can breathe untainted air, where you can go for long walks in the surrounding forests and mountains without seeing a soul, and where the only sound you hear is the chirping of the birds. Yet, whenever I go shopping I usually meet, and frequently stop for a chat with at least three people I know. As a French teacher I came to France way back in 1972 on an official teacher exchange scheme during which I taught English in a lycée for a year while my French partner replaced me at my school in England. Beyond the professional wish to improve my spoken French, and gain first-hand experience of teaching in a French secondary school, I had deeper, more personal motives which in many respects were very similar to the ones I’ve mentioned above. For, even though I loved teaching, I began to question the context I was working in. The constant staffroom moans from the more senior teachers - how much they were underpaid, how difficult it was getting to teach the kids, what an idiot the headmaster was, how they had to scrimp to pay off their mortgages - began to depress and cause me to view my future as little more than a prison sentence. So, moving to France was part of an escape plan which, I must confess, extended beyond the one year term of my stay - for, rather than returning to my English school afterwards, I was seriously thinking of emigrating to Australia, New-Zealand or South Africa. ‘You’re young, single and free,’ I said to myself, ‘so now’s the time to get out of the rut!’ But this fresh start to life first involved the exhilarating prospect of embracing the culture and customs of a country which had exerted a deep attraction on me from the moment I started learning its language at the tender age of 11. And, like my compatriots, I was not insensitive to the weather. 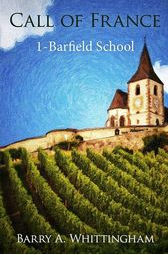 Applicants were invited to state the region they would prefer to spend their year in, so, prompted by fond memories of a wonderful, sun-drenched school trip to Nice, I had no hesitation in indicating the Côte d’Azur. Things couldn’t have turned out more the opposite. For I was assigned to a small town lycée in one of the most rural départements of France - that of the Haute-Saône (sometimes disparagingly referred to as the Haute-Patate), tucked far away from the Mediterranean coast in the depths of Eastern France. But this wasn’t of the slightest importance. What mattered to me most was that I’d soon be heading for France!